Home > Departments > Faculty > Sarah Michaels Ph.D. Professor Michaels holds a B.A. from Barnard College (1975), and an M.A. (1976) and Ph.D. (1981) in Education (Language and Literacy) from the University of California, Berkeley. Prior to coming to Clark in 1990, Michaels served as Director of the Literacies Institute in Newton, MA, funded by the Mellon Foundation. She also directed projects on language and schooling with funding from the Spencer Foundation, Carnegie, and the Department of Education, while serving as a Research Associate and Instructor at the Harvard Graduate School of Education. She has been the PI or Director of grants and programs (from foundations, state and federal agencies, and private donors). A sociolinguist by training, she has been actively involved in teaching and research in the area of language, culture, "multiliteracies," and the discourses of math and science. She was the founding Director of the Hiatt Center for Urban Education and works to bring together teacher education, educational research on classroom discourse, and district-based efforts at educational reform. She is currently the Senior Research Scholar of the Jacob Hiatt Center for Urban Education. Dr. Michaels is also affiliated with the programs in Communication and Culture and Urban Development and Social Change. Professor Michaels is currently involved in a variety of research projects which focus on academically productive talk in math, science, and English language arts, from pre-kindergarten through high school. In these projects, she is working on curriculum and professional development so that it focuses central attention on rigorous, coherent, and equitable classroom discourse. As one example of this work, she completed a book for the National Research Council (co-authored with Andy Shouse and Heidi Schweingruber) called Ready, Set, Science! : Putting Research to Work in the K-8 Science Classroom. Michaels is also a co-author of the CD-ROM suite of tools, Accountable Talk: Classroom Conversation that Works (in collaboration with the Institute for Learning at the University of Pittsburgh), which is currently being used in large urban districts throughout the country. 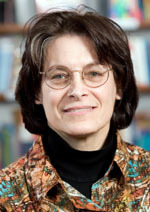 In promoting teacher research, she works to support teachers as theorizers, curriculum innovators, and educational leaders who use the tools of ethnography and discourse analysis in generating new and useable knowledge for improving instruction and student learning in their own and others' classrooms. Michaels, S. & Cazden, C. (in press). Reading Comprehension in Class Discussions.To appear in, Literacy Standards for the Middle Grades. Pittsburgh, PA: New Standards and the University of Pittsburgh Press. Michaels, S. & O'Connor, C. (in press). Conceptualizing Talk Moves as Tools: Leveraging Professional Development Work with Teachers to Advance Empirical Studies of Academically Productive Talk. To appear in, Resnick, L. & Asterhan, C., Socializing Intelligence Through Academic Talk and Dialogue. O’Connor, C. & Michaels, S. (in press). O'Connor, C. & Michaels, S. (in press). Scaling Back to Look Forward: Exploring the Results of an In Vivo Study of Accountable Talk. To appear in, Resnick, L. & Asterhan, C., Socializing Intelligence Through Academic Talk and Dialogue. Dudley-Marling, C. & Michaels, S. (Eds.) High-Expectation Curricula: Helping All Students Succeed with Powerful Learning. New York: Teachers College Press. Dudley-Marling, C. & Michaels, S. (2012). Introduction. In, Dudley-Marling, C. & Michaels, S. (Eds.). High-Expectation Curricula: Helping All Students Succeed with Powerful Learning, pp. 1-11. Teachers College Press. Dudley-Marling, C. & Michaels, S. (2012). Shared Inquiry: Making Students Smart. In, Dudley-Marling, C. & Michaels, S. (Eds.). High-Expectation Curricula: Helping All Students Succeed with Powerful Learning, pp. 99-110. Teachers College Press. Dudley-Marling, C. & Michaels, S. (2012). Conclusion. In, Dudley-Marling, C. & Michaels, S. (Eds.). High-Expectation Curricula: Helping All Students Succeed with Powerful Learning, pp. 203-210. Teachers College Press. Michaels, S. & Cazden, C. (2012) Reading Comprehension in Class Discussions. In, Literacy Standards for the Middle Grades. Pittsburgh, PA: New Standards and the University of Pittsburgh Press. Michaels, S., Shouse, A. & Schweingruber, H. (2008). Ready, Set, Science! : Putting Research to Work in the K-8 Science Classroom. Washington, D.C.: National Academies Press. Michaels, S., O'Connor, C., & Resnick, L.(2008). Reasoned Participation: Accountable Talk in the Classroom and in Civic Life. Studies in Philosophy and Education. 27 (4): 283-297. Michaels, S. (2006). Narrative Presentations: An Oral Preparation for Literacy with First Graders. In, J. Cook-Gumperz (Ed. ), The Social Construction of Literacy, 2nd Edition, pp. 94-116. New York: Cambridge University Press. Michaels, S. (2005). Can the Intellectual Affordances of Working-Class Storytelling Be Leveraged in School? Human Development. 48:136-145. Sohmer, R., & Michaels, S. (2005). The "Two Puppies" Story: The Role of Narrative in Teaching and Learning Science. In, Quasthoff, U. & Becker, T. Eds. ), Narrative Interaction. pp. 57-91. Philadelphia: John Benjamins Publishing Company. Michaels, S., Sohmer, R.E., O'Connor, M.C. Classroom Discourse (2004). In, Ammon, H., Dittmar, N., Mattheier, K., & Trudgill, P. (Eds. ), Sociolinguistics: An International Handbook of the Science of Language and Society, 2nd Edition. pp. 2351-2366. New York: Walter de Gruyter.